This is my first buck and first year hunting. I got it in Niagara county. 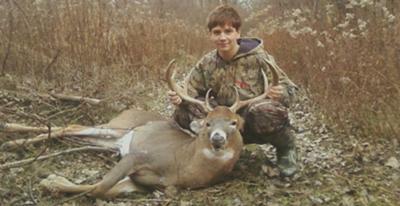 He is a 8-point and weighs in at 190 pounds. I used a 20 gauge. I got it as I was walking out to the area I was hunting and as I was just entering the trail I was looking all around and I had stopped right next to this big boy. I didnt believe my eyes. He was just sitting there hidding from other hunters is what im assuming. He dropped dead only 10 feet away.